All of our pups are born and raised in our home. 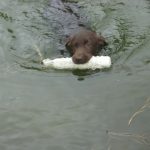 They are well socialized with older labs,humans,and given lots of TLC. 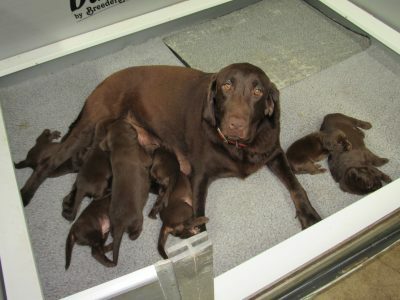 Our pups come with a written two year health guarantee,1st shots, and pups are dewormed at 2, 3, 4 and 6 weeks. 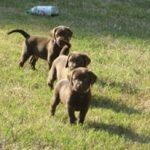 Once a chocolate Labrador puppy enters your life,your life will change forever. You have a devoted friend,and the years are filled with love, joy and happiness. 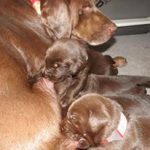 A superior family companion,as well as a dedicated working dog, the Chocolate Labrador Retriever puppy is smart,gentle,and eager to please. LABS LEAVE A LASTING IMPRESSION! Notice-We will not place not even one of our pups or dogs in a new home “sight unseen”. If you want to adopt a pup or dog from us you will have to physically visit our home and make your final pick in person. 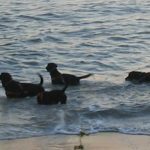 Stud Fee…………………………$1000.00**Female must have a negative up to date Brucellosis test before breeding. All of our pups are born and raised in our home. 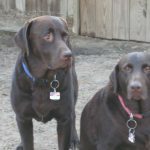 They are well socialized with older labs,humans,and given lots of TLC. 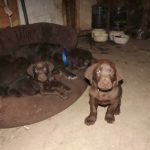 Our pups come with a written two year health guarantee,1st shots,and pups are dewormed at 2, 3, 4 and 6 weeks. Once a chocolate Labrador puppy enters your life,your life will change forever. You have a devoted friend,and the years are filled with love, joy and happiness. 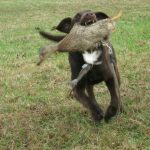 A superior family companion,as well as a dedicated working dog, the Chocolate Labrador Retriever puppy is smart,gentle,and eager to please.